Very young children are often too restless to tour grand castles and palaces like Windsor or Versailles. 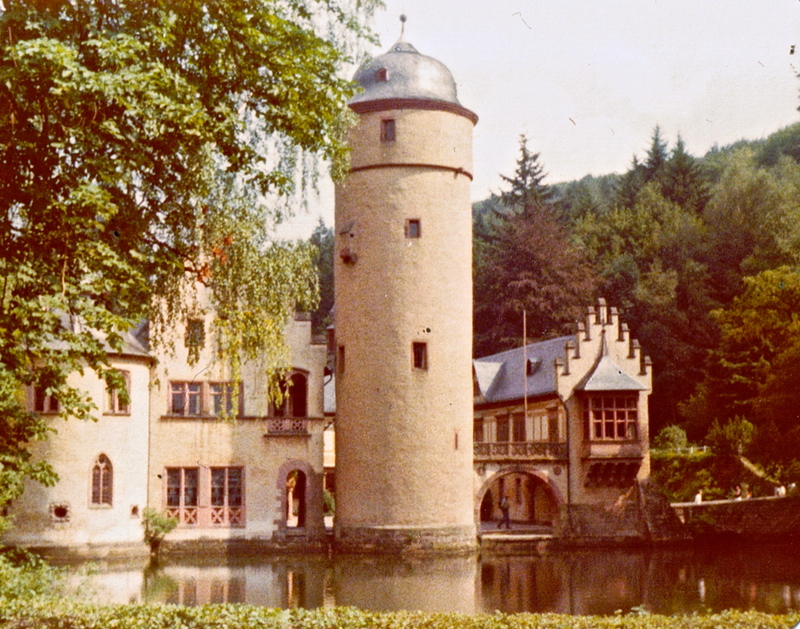 How about a smaller, more charming, fairytale castle surrounded by a water moat, nestled among the trees of the Spessart Forest? Mespelbrunn Castle near Aschaffenburg in Germany is one such peaceful, remote destination for you and your family. The castle’s center watchtower is framed by sweet gabled houses and an arched bridge, and the whole picturesque scene is reflected in the waters of the moat. Because of its remote location, Mespelbrunn Castle never suffered any war damage and is in pristine condition. Still a private residence (home of a Count), guided tours of the north wing are offered daily beginning in March through November. These usually non-crowded tours are only 40 minutes long and tickets are only 3.50€ for adults and 3.00€ for students and children. Mespelbrunn Castle is an easy day trip from Frankfurt or a quick stop off of the A3 Autobahn between Frankfurt and Würzburg. If you’re not in the mood for a tour, the quiet, romantic castle grounds are free. Stop for a picnic or for lunch in one of several eateries. The Mespelbrunn Castle website is only in German, but English information can be found by googling Mespelbrunn. What a lovely castle - will definitely put it on the list for when we travel to Germany in 2012.